On Thanksgiving I was introduced to someone as the person with the blog where they found that cookie recipe. The cookie recipe they were referring to is the Oreo Stuffed Chocolate Chip Cookie Recipe. It is a memorable one. And now Becky has switched it up with a mint creme Oreo fudge cookie recipe. 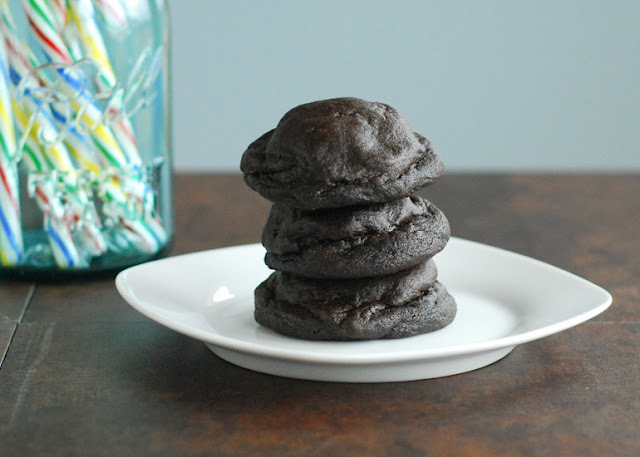 I think I am going to forgo the mint creme Oreos and get the Candy Cane Oreos to put inside these fudge cookies. 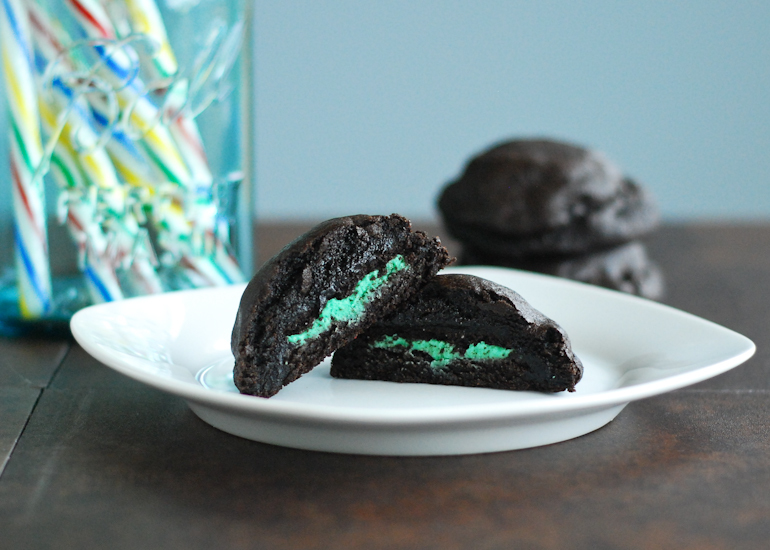 You can get the mint creme Oreo stuffed fudge cookie recipe over at Becky Bakes.